The San Francisco Immigrant Legal & Education Network (SFILEN) is made up of the following 13 organizations: African Advocacy Network, Arab Resource & Organizing Center, Asian Law Caucus, Asian Pacific Islander Legal Outreach, Central American Resource Center, Chinese for Affirmative Action, Filipino Community Center, La Raza Centro Legal, La Raza Community Resource Center, Mujeres Unidas y Activas, People Organizing to Demand Environmental & Economic Rights, Causa Justa:: Just Cause, and Dolores Street Community Services as the lead agency. We represent immigrants from African and Afro-Caribbean, Arab, Asian, and Latino communities, providing free immigrant legal assistance and community education to low-income immigrants in San Francisco. Collectively the Network provides services in over 20 languages and dialects. 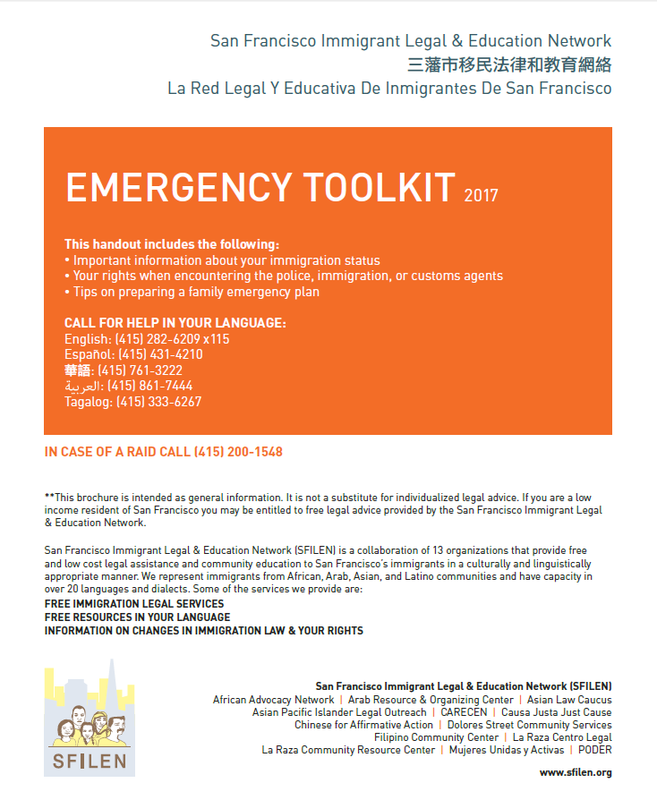 The San Francisco Immigrant Legal & Education Network is funded by the Mayor’s Office of Housing, Community Development Division (MOH-MOCD).